The Party is on Course to claim back both its losts seats in the upcoming State Elections which would be held at the latest by March 2016. At the recent AGM which was held in Bintulu the mood amongst the delegates were vibrant and many were outspoken. The President Mawan did not minced his words when he said that though some of the members and even the then Youth chief and Treasurer was not happy when Rosey Yunus (now an Assistant Minister) was named as candidate. However as a matured politician Tiong King Sing (now Deputy President) was the first person on the ground to assist Rosey. 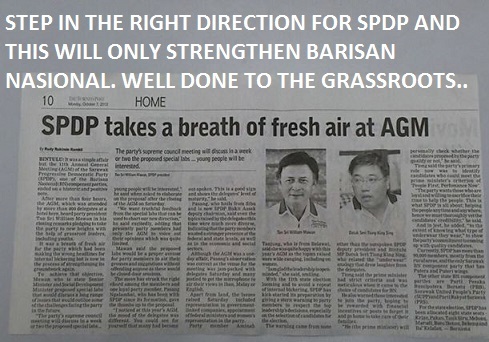 It just goes to show that SPDP means business and as a reliable partner of BN there is no time for too much politiking. 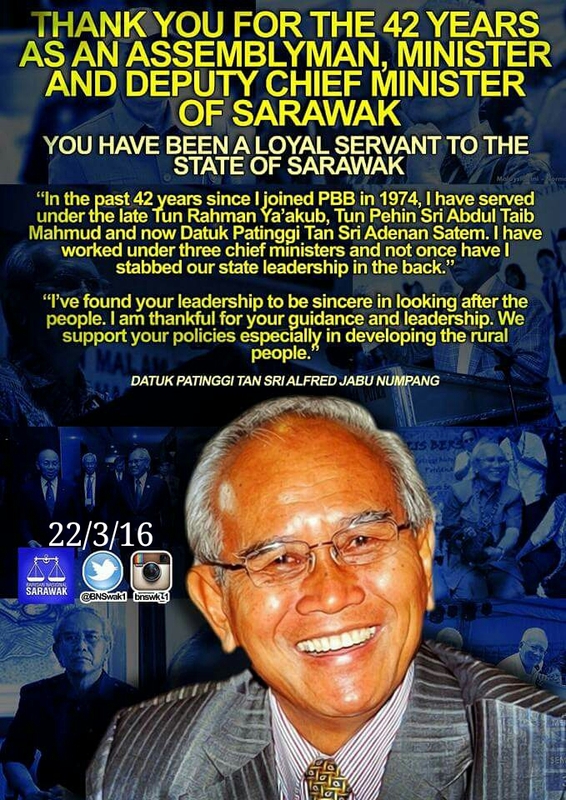 The rakyat comes first and President touched on Krian and Ba’Kalalan the two seats which was losts to PKR. This went down well with the delegates and many calls were made to Bell to inform him of what the delegates thought about it. Of course there will be many who feels that they will give a good fight to Ali Biju (PKR) instead of Bell. There are many factors which are to be considered and amongst them the warlords of Saratok. A chanced meeting with Bell’s Anggan Father who himself is a very influential politician in Saratok thanked Mawan for mentioning his son. This will be a “hot subject” in the months to come and Bell will certainly not be a justs a bit/partime player in this battle of Krian between PKR and SPDP. It remains to be seen how the wind will blow and whether Bell Bernard Anggan 43years old (PBB Youth Exco and a successful entrepreneur) plays his card and how the top BN leadership will deliberate this case.